The tenth and final round of the 2017 season took place at Road Atlanta. The Fox Factory 120 was a two hour event that featured disappointment and unexpected results. 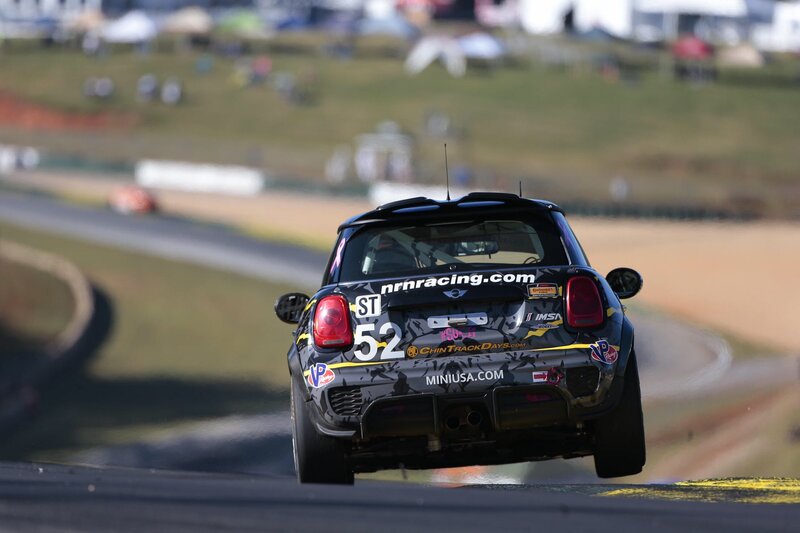 All three MINIs started nose to tail as they qualified in 9th, 10th, and 11th with the #37 leading the way. Surely not the way the team would have wanted to start the event but they were all within about one second of the pole winner. All three roughly held position, plus or minus a couple spots each for the first 40 minutes of the race. At about 42 minutes into the race a piece of debris punctured the radiator of the #37. Mike Lamarra was able to get the car back to the pits but the damage ended their day. This was unfortunate not only because of the result but because the co-driver James Vance didn’t get a chance to close out the season. With cars beginning to pit the #73 had moved into 5th place just before disaster struck the MINI JCW Team again. The #52 with Jared Salinsky driving had a rear wheel drop off the course. This upset the car dearly and as Salinsky tried to regain control the car it hooked sharply left sending Salinsky into the wall. Salinsky seemed ok but it meant another unfortunate end for a MINI’s season. Mark Pombo was scheduled to close out the race in the #52 but never made it onto the track as the damage was terminal. Derek Jones drove a relatively clean opening stint and pitted under the yellow for the #52. Mat Pombo would take over and finish the race. Due to some drivers pitting just before the caution Pombo would restart the race in the 9th position. As the green flag waved Pombo initially looked as if he was the fastest car on the track. He worked his way as high as 5th before a fierce battle with the 25 that would go on for many laps. As the race came closer to the end Pombo seemed to have lost his edge on the competition and settled into the 6-7th postion. It looked as though that would be where the #73 would finish until with about 8 minutes left. That is when the #81 BMW approached a turn with to much speed and locked up the wheels under braking. The #81 ended up stuck in a gravel trap bringing out another full course yellow. The race organizers were able to clear the track quickly and it looked like there would be enough time left for a two lap sprint to the finish. With the field bunched up again it looked like a golden opportunity for Pombo to try and gain some positions. With the race moments away from returning to green the improbable happened. The #27 Mazda ran into the back of #26 Mazda sending him careening over the #84 BMW. As the melee played out Pombo managed to get himself through the mess and take possession of 4th place. With the race unable to return to green Pombo had earned a solid top 5 for the #73 to close out the MINI JCW Team’s most successful season. With only the #73 completing the race results obviously were’t what we hoped. Check them out in the table below. The Fox Factory 120 was the last event of the 2017 season. 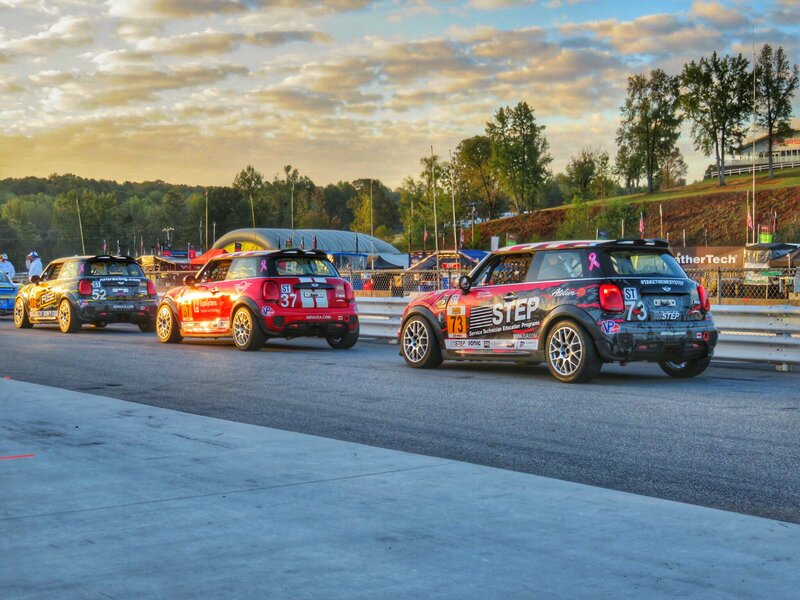 Look for the MINI JCW Team to return next season at the opening round January 26th at Daytona International Speedway. The team will be looking to defend their win at the track and might be featuring a new MINI in the TCR class. Thanks for following the team with us this season and if any news comes out between now and the start of the next season you can be sure we will have it.